SPOKANE, WA—Noting the veteran sportscaster’s perseverance through such difficult conditions, 31-year-old Olympics fan Roland Keller expressed his amazement to reporters Thursday at the sheer grit and determination displayed by Dan Patrick as he engaged in several moments of small talk with NBC host Bob Costas. “Most people would have just given up midway through, but Dan showed a lot of heart and plenty of mental toughness as he kept going,” said Keller, adding that he was stunned by Patrick’s seemingly superhuman ability to withstand over 30 seconds of inane back-and-forth chatter with Costas. “When Costas asked him how lively the parties on Copacabana Beach must be after Brazil advanced to the gold medal match in soccer, I thought he would buckle for sure. But he didn’t, even though it was clearly so painful. 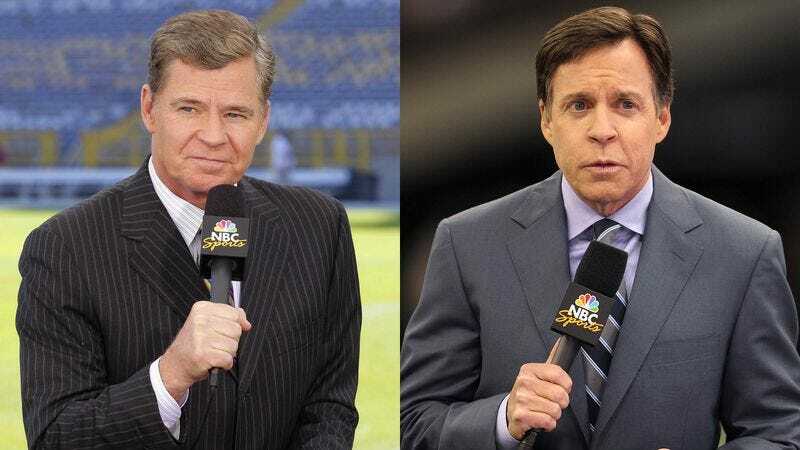 That’s what makes Dan Patrick one of the best.” Keller added that Patrick’s performance was the most impressive he’s seen since Mike Tirico managed to somehow defy the odds by finishing seven seasons on the air next to Jon Gruden in the Monday Night Football broadcast booth.